High quality mortise and tenon jointed construction. Suitable for any entrance or access point around the garden. 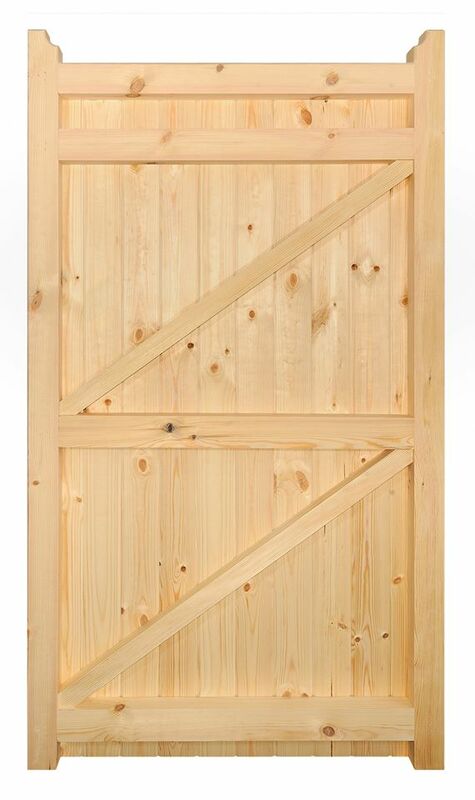 Handmade in the UK to high standards the 6ft high Norfolk Tall Wooden Side Gate features a heavy duty framework coupled with inset tongue and groove boards to achieve a timeless design that is both attractive and strong. 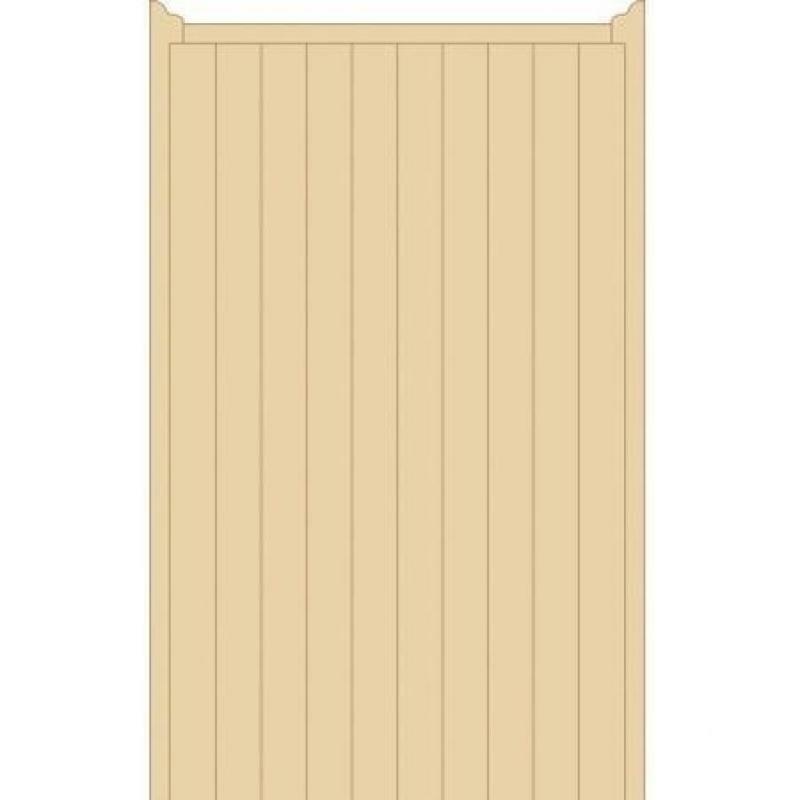 Suitable for most residential locations, the Norfolk wooden gate is available to order online in a choice of sizes to ensure the best fit to your requirements. Manufactured in the UK using traditional joinery techniques such as mortise and tenon joints. High quality construction is strong and durable. 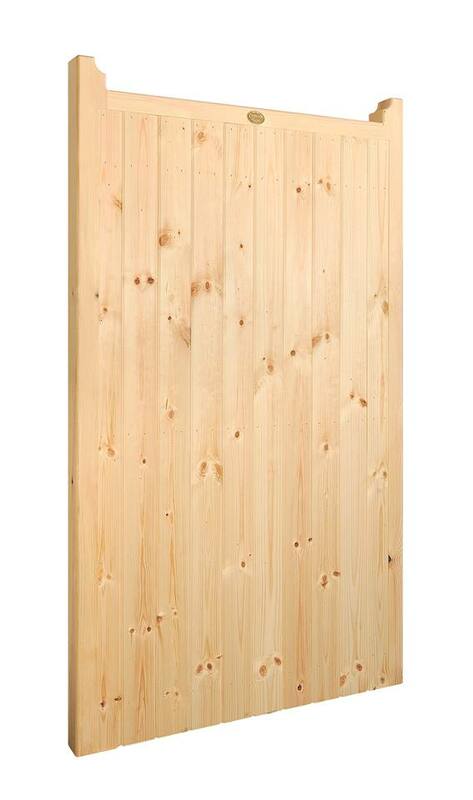 Smooth planed timber finish ready for painting, staining or varnishing. Hinges and fittings designed for use with the Norfolk side entrance gate are sold separately. Pick the size you need from the options detailed in the menu at the top of the page. 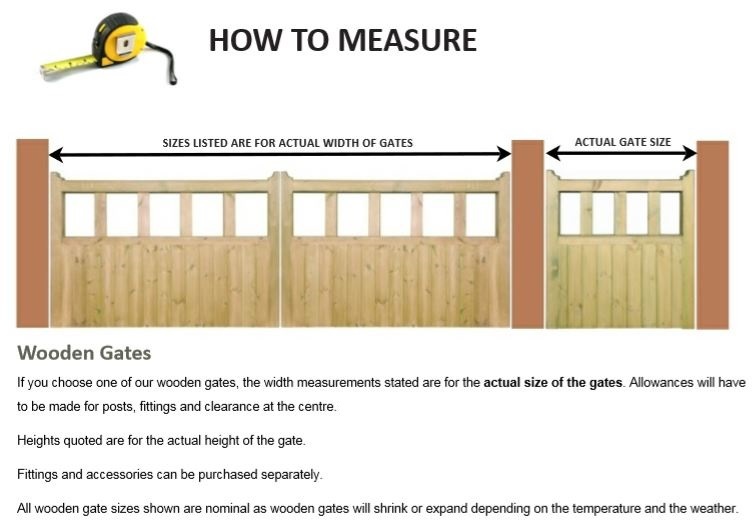 When making your selection please be aware that the width stated is the physical width of the Norfolk Wooden Gate. We have made no allowance for the additional space you will need for the hinges, latch and any posts that may be required to complete the installation. If you are unsure what size to order please contact us and we will be happy to provide support. Need more information prior to ordering a Norfolk Wooden Side Gate online? Call Garden Gates Direct now on 0844 804 5577 and we will be happy to answer your questions. You can also email your queries to sales@gardengatesdirect.co.uk or simply fill in our online form here. Alternatively to find more information online we recommend that you take a good look at the buying guide, order guide and frequently asked questions or if you need help with installation take a look at the pages detailed below. Looking to secure other areas of your home and garden? Click the links below to view other timber gates for sale within the Norfolk design. If you need to order gate furniture, posts or accessories to help with your installation we recommend the following items. For help and advice choosing the correct size hinges or need assistance with any other aspect of your purchase please call us on 0844 804 5577 or email sales@gardengatesdirect.co.uk and we will be on hand to offer solutions and technical support.